A cultural icon can be a symbol, logo, picture, name, face, person, building or other image. It is easily recognized and generally represents an object or idea with great cultural significance to a wide cultural group. It has a special status as representing, or important to, or loved by, a particular group of people, a place, or a period in history. In the media, many well-known examples of popular culture have been called "iconic". Some writers say that the word is overused. Che Guevara, Madonna, Jim Morrison, James Dean, Marilyn Monroe, John Lennon, Michael Jackson, Frank Sinatra, Bob Marley, Elvis Presley, Kurt Cobain, The Beatles, Elizabeth Taylor, Walt Disney — these are names that refuse to fade out. No generation gap can lower their popularity. They will always remain a symbol of youth. Brands can show social values and changes, but many people have become tired of them. Many brands want to be cultural icons, but fail. Cultural icons are often timeless, imprinted in our consciousness. They can go through several stages, from "rumblings, undercurrents" via "catharsis, explosion" and "mass acceptance, ripple effect" to "glorification, representative value". While brands are rational and driven by features, cultural icons are emotional, free, driven by feeling, and creating emotional bonds. 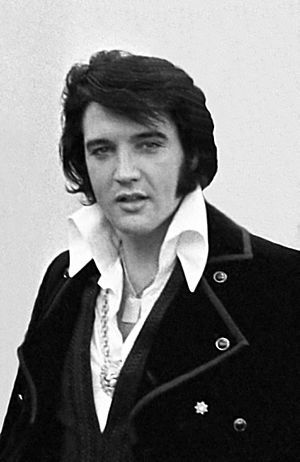 An example of "branding" might include the wearing of a consistent fashion look by such music stars as Michael Jackson or Elvis Presley, making them instantly recognizable. Royal or church clothing could also be understood as a form of emotional iconography. Cultural icons may be national, regional or about a city. And they can be symbols for a nation, or can show the values held by that state. For example, France uses Marianne as a symbol of the French Revolution. Bruce Lee is a symbol for the martial arts and philosophical culture of insight and knowledge in the entire world. Charlie Chaplin symbolises comical action while Clint Eastwood is a symbol for strength and masculinity. Jackie Chan is a global icon of comical stunts and martial arts based action. 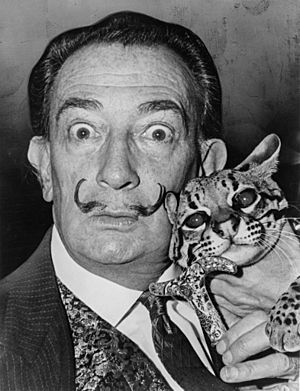 Salvador Dalí is the worldwide icon for the bizarre and eccentric. Cultural icon Facts for Kids. Kiddle Encyclopedia.